Today's tires and wheels offer a lot of options for every Clinton Township driver's style, habits and driving conditions. 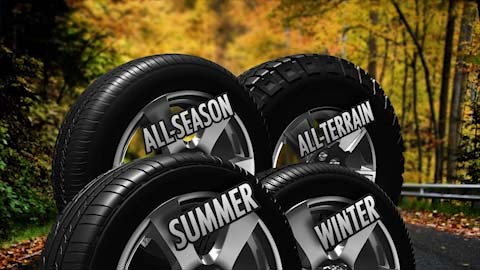 Tires are designed for high-performance in winter or summer and even come in a long-wearing variety for all Michigan seasons. Clinton Township off-roaders should be excited about the options available to them as well. The tread on off-road tires is designed to handle the wear from bumps and rocks. The tires' high profile protects rims from damage. But what if you own an SUV but aren't interested in off-roading around Michigan? You can change out those high-profile beasts for a lower, wider look if it suits your style. Auto Pro Clinton Township tire professionals can offer great auto advice on how to choose tires that match your needs and style. If you just need to purchase new tires, a tire professional at Auto Pro Clinton Township can also help you select the tires that are best for your driving needs and habits. The right tires will protect you and your vehicle on the road. So personalize your vehicle, but don't forget that good car care will keep that sassy ride on the road in Clinton Township a lot longer.